A jury of 14 designers, architects, journalists and critics identified the 310E ADT as a GOOD DESIGN AWARD recipient due to its strong chamfers, color breakup and stout overall proportions that secure an active stance and directional assertiveness. 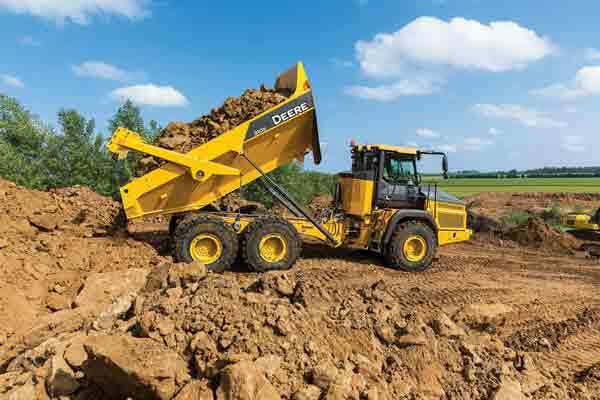 The design language used in development of the ADT is incorporated in all John Deere Construction machines, ensuring a consistent look throughout the product family. Manufactured with state-of-the-art tools and techniques at the John Deere facility in Davenport, Iowa, the 310E is designed for performance in mining, quarrying, road building and other large-scale material-moving applications.